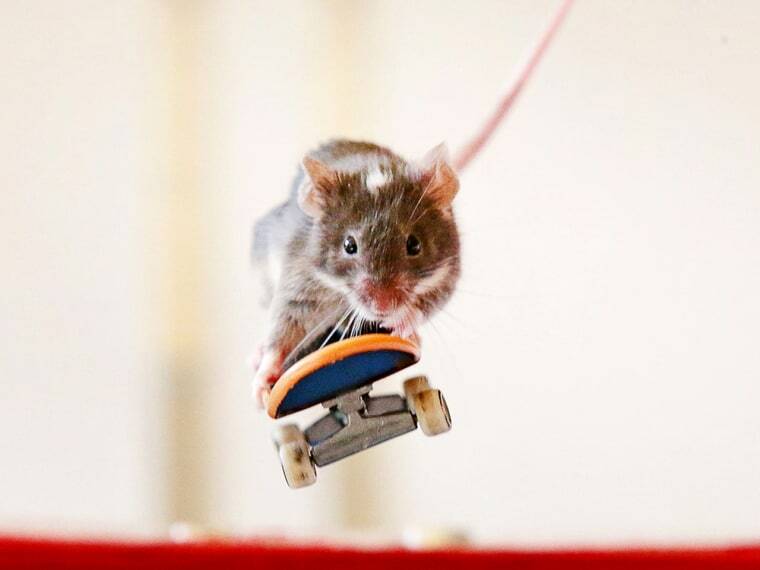 After achieving worldwide fame by teaching his pet mice to surf, Shane Willmott has now trained them to ride skateboards, according to photo press agency Rex Features. The little dudes "drop the vert ramp" and get airborne on mouse-size toy skateboards in a mouse-size skate park built by Willmott in his backyard in Australia. Willmott, who has been training mice to surf for about 10 years, said he decided to teach them to skate because in winter it was too cold to take them to the beach. "They love it," he said. "Mice are built to surf and skate because their center of gravity is so low. When they do fall off, they want to get straight back on board."